So, you want to tinkle the ivories a bit? We've got you covered! 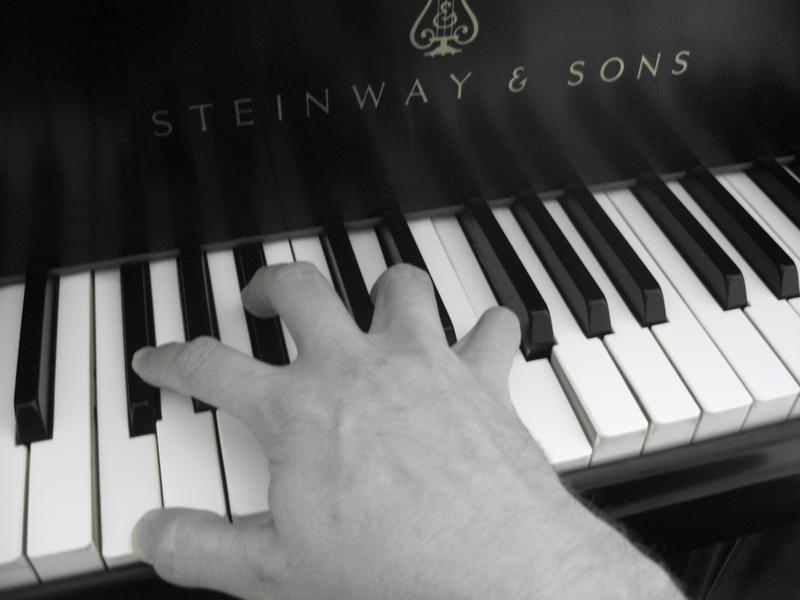 Our piano teacher has taught piano for over 20 years to students of all different levels. His personailty is fun and relaxed, and his goal is for students to leave with a smile on their face. If they are not enjoying it during the session, how are they ever going to pratice! We often get asked how early we will start lessons with a student. The only requirement in that regard is a half hour attention span. If your child's attention can be kept for the duration of a lesson, then they are ready to begin! Typically, a new young student would be taught out of a series of books from Faber & Faber with us. Each level includes four books and would probably be all you would need for a year. There is a lesson book - which teaches the basics. Then there is a theory book - written work to help you put what you have learned into practice, as well as sight reading and ear training. There is also a technique & artistry book, which helps build strength in young fingers, and a polpular song book, full of fun pieces for your child to try. These four books go hand in hand with each other and offer a fun and easy approach to the piano. For the older beginner, we usually teach out of an Alfred teaching series for adults. These levels each consist of two books, a lesson book and a theory book. For those who have had the proper basics taught to them by cpm-e or by another, we also teach using the guidelines from the Royal Conservatory of Music (RCM). Students go through the technical training that they need in the year in order to write a practical exam around the first of June. Most students find working with RCM very rewarding and challenging. We enjoy teaching with this cirriculum. If you have other thoughts on what would suit your individual needs, we are pretty flexible, and have used lots of other methods and books for kids. Get in touch with us and let us know what you had in mind!